The latest innovation from the people that brought you the original step. The "new" Reebok Deck is so versatile, it can be used as an aerobic step platform and an incline/decline bench for resistance training. 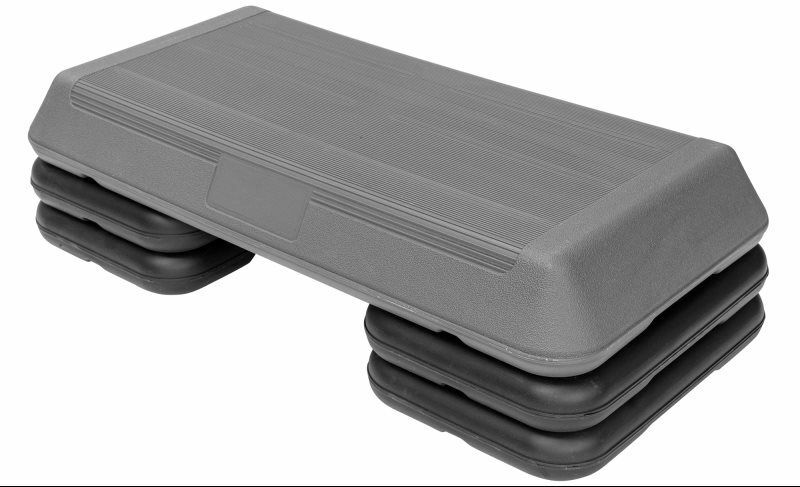 With all the same capabilities as the Reebok step, plus an adjustable seat and back support option. 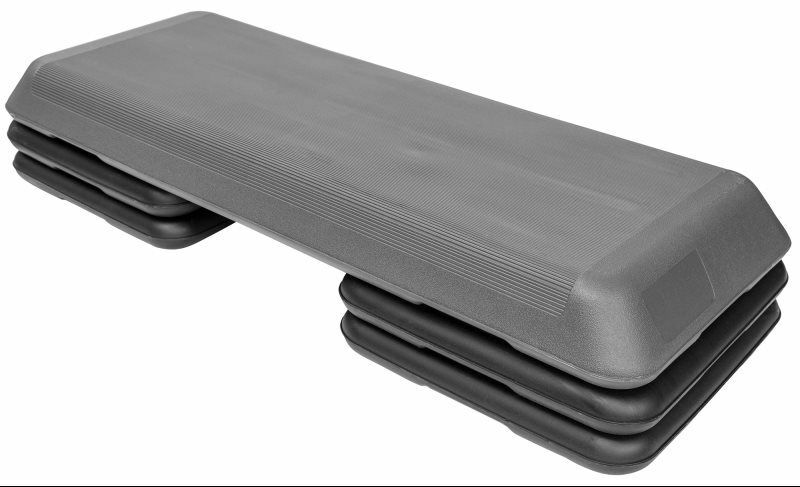 There is an internal storage compartment which can be used for tubing, strength bands etc. Great for classes and home use! 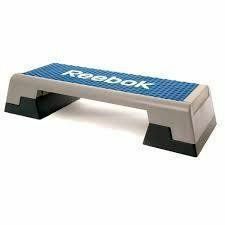 Reebok Step with snap in legs for height adjustment (Size 39 ½" x 15 ½" x 6 1/4") Height Adjustable block from 6", 8", 10"
Step into fitness! Stepping is the perfect exercise to help you develop a sleek and toned body. The Step Junior includes 4 junior risers that easily attach to the base of the stepper. This will increase the height of the unit and offer a greater challenge for the user. Stepping also improves cardiovascular health, muscular endurance, tones and strengthens legs and burns calories. It is perfect for fitness users of all levels. 90 day warranty on manufacturers defects.